The gastronomic journeys experienced onboard every Uniworld river cruise are every bit as rich, varied and flavorful as the voyage itself. Its dedication to farm-to-table culinary experiences leads Uniworld to uncover the finest foods sourced from regional farms, farmers’ markets and artisanal producers, to ensure every meal embodies the unique character of each region and season. The Signature Lectures presented by academics, art historians, and other local experts, are designed to provide engaging and mind-expanding perspective on the art, history, cuisine, and unique cultural traditions of the destinations. There’s also ample opportunities to stay active during your journey with hiking or biking tours, or if it’s relaxation you seek, pampering in the tranquil Serenity River Spa. 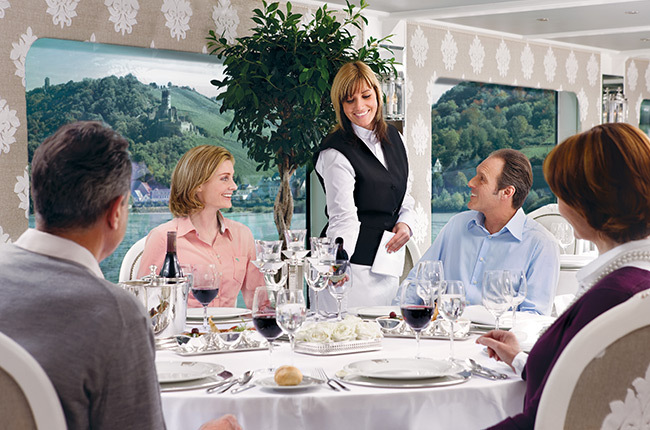 From gourmet cuisine and unlimited beverages onboard to innovative and authentic hosted excursions to personalize your experience ashore, Uniworld elevates all-inclusive river cruising to an entirely new level. 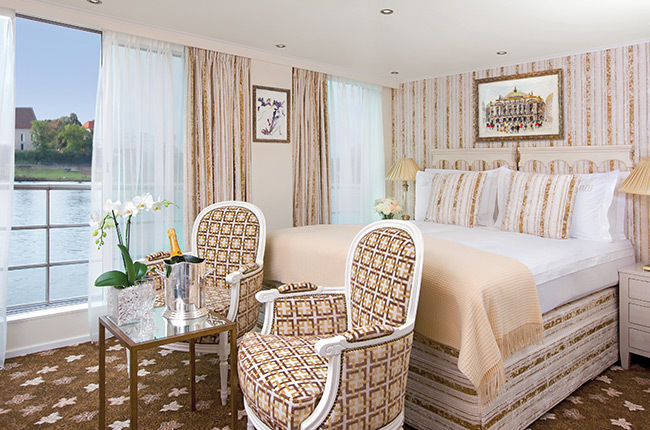 All riverview staterooms and suites are elegantly appointed with luxurious amenities, including hand-crafted Savoir© of England beds; 100% Egyptian cotton linens; 24-hour room service; Italian marble bathrooms with plush towels, comfy robes and slippers; generous built-in closets; flat-screen TVs with satellite channels and movie choices; in-room safe and more.